Clouds of steam billowed from under the crumpled hood of the Lexus. Glass from the driver-side rear window lay strewn along the road, sparkling like diamonds on the glistening blacktop. Two police cars encircled the wreckage, their lights ricocheting around the snow-laden trees that hugged the edges of the road. Jim slowly lifted his aching head and squinted through the window at the scene outside the car. Through the iced front windshield he could see the shadowy silhouettes of three officers with drawn pistols. They shielded themselves behind their open car doors. A thick hot strand of blood meandered slowly down Jim’s face from a ragged cut above his left eye. His head throbbed. One of the police officers was bellowing something, but Jim couldn’t make out the words. 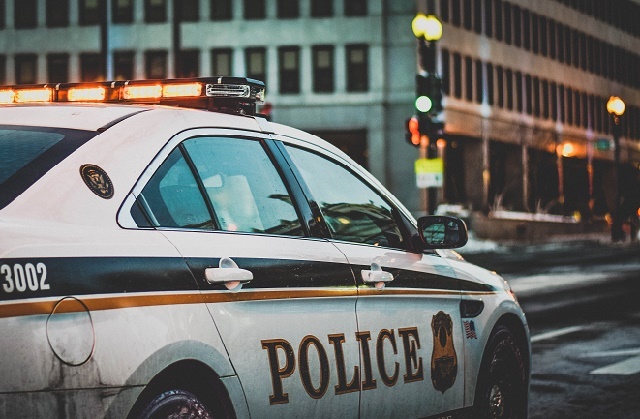 He slowly rolled his eyes over to the driver seat to see if Malik was ok.
Malik was alert, wide-eyed, as the red and blue lights refracted onto his face like a kaleidoscope. His hair was littered with broken glass. Clouds of breath emerged from his open mouth in the frozen air. An abrasion on the side of his face spotted with blood. Probably the airbag. He glanced for a moment at Jim out of the corner of his eye, before leaning forward and fumbling around the brake pedal. Malik ignored Jim. His eyes flashed as his hand found what he was looking for. As he pulled the black handgun from the floorboards, he groaned. Malik frowned as he stared out the window. “Get out of the vehicle with your hands in the air. Now!” The officer hollered again. Jim swallowed and shot a nervous look at the police cars. Malik continued to stare out the front window with a grim face. Malik exhaled a deep sigh but said nothing. Malik took a long look at the gun in his hand. He shook his head. “Man, too much has happened. Too much. I’m dead no matter what.” A slight smile emerged at the corner of his lips as a lone tear fell from his eye. He stuffed the gun into the front waistband of his pants. The handle was barely visible. He pressed the button to unlock his door. Jim grasped frantically for Malik’s shirt, but the young man opened the door and stepped out of the car into the frigid air before he could catch him. Keep reading Meals from Mars to see the full story of Jim and Malik unfold. 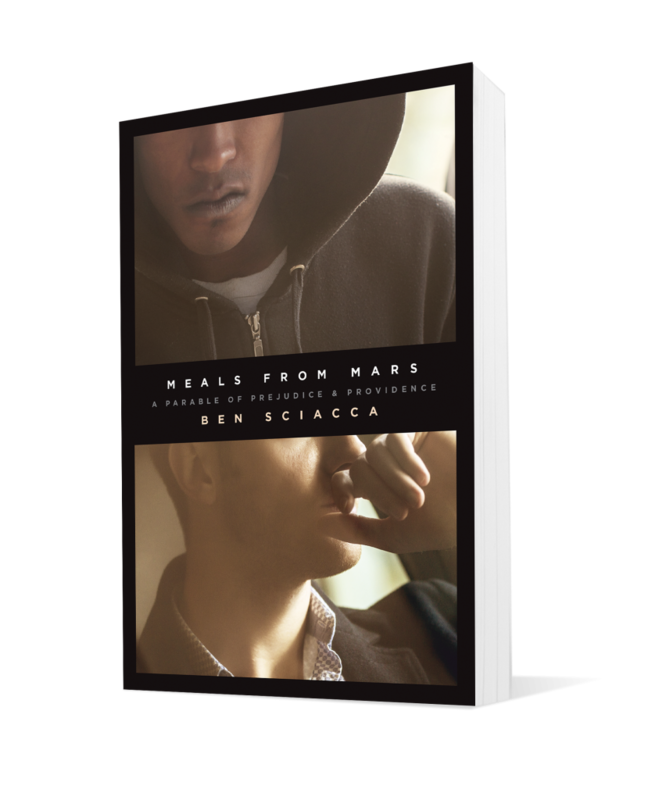 Meals from Mars: A Parable of Prejudice & Providence is the perfect story for initiating reconciliatory discussion on race. Related content- Your Healthy Conversation on Race Starts Here.